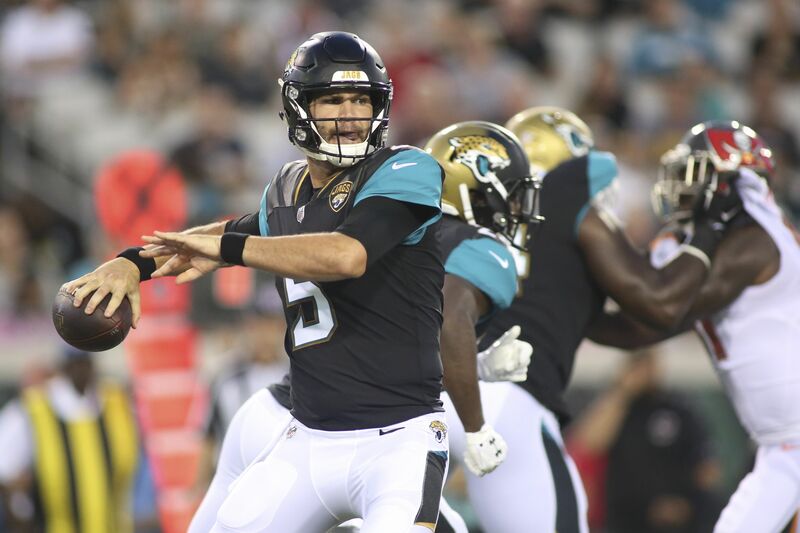 One of the main storylines that everyone has been watching this NFL preseason has been, really, the fall from grace of Jacksonville Jaguars quarterback Blake Bortles. His performances since being one of the top picks on the 2014 NFL Draft for the Jaguars have been quite underwhelming, putting him on the hot seat as the starter this year. Well, that seat just became scorching. The Jaguars announced on Wednesday that veteran Chad Henne will get the starting nod on Thursday when the Jaguars take on the Carolina Panthers, basically meaning the former first-round draft pick has been benched in the preseason. Bortles didn’t even make it to the regular season before being benched, which obviously is not the best sign for his future. Through two weeks of the NFL preseason thus far, Bortles has done nothing to give the Jaguars coaching staff confidence that he can be the definitive starter come this season, thus the reasoning for the move on Thursday. While Henne might not be the most effective option under center instead of Bortles, this move really speaks volumes of where the team is at with their quarterback situation at the moment. The good news for Bortles is that head coach Doug Marrone did announce that Bortles will get some first team reps despite not starting the game, so not all is lost for the former UCF quarterback. But this is one of his final chances and Bortles is at the end of the line here with the Jaguars. When he does get those first team reps on Thursday, he needs to make the most of them and continue to do so. Otherwise, he’ll be looking for a new home sooner rather than later.